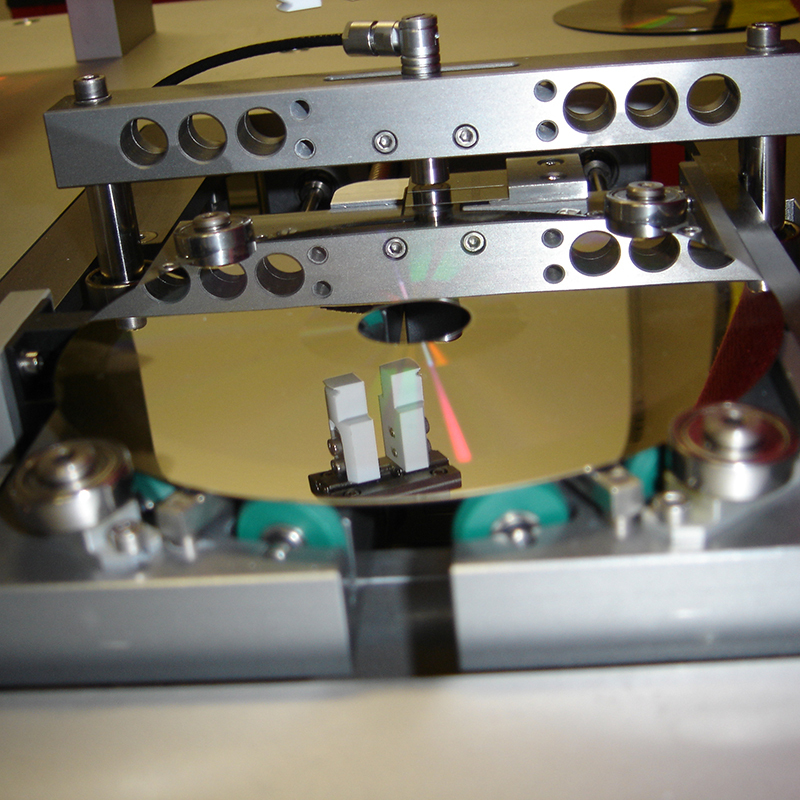 When optical data carriers are produced, the data are initially transferred to a master. Depending on the number of copies, different dies made of nickel are produced from the master by galvanization. These dies must show a thickness of 297 µm ± 3 µm for faultless production. It is checked several times during the galvanization that this dimension is complied with. The company ISEDD GmbH from Bielefeld has developed a measuring device for this which enables fast and accurate inspections of the dies. Capacitive sensors from Micro-Epsilon are used for the thickness measurement.